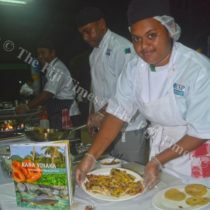 MOU recognises common interests in growing Fiji tourism. 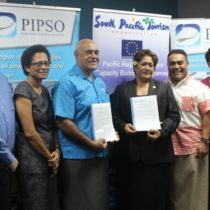 SOUTH Pacific Tourism Organisation (SPTO) and Pacific Islands Private Sector Organisation signed a landmark memorandum of understanding (MOU) at FNPF Place in Suva yesterday to work together to promote tourism and private sector development in the region. HUMBLED and honoured. 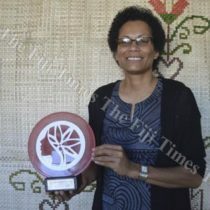 This was Mereia Volavola's reaction when asked to describe how she felt after being declared the Executive of the Year at the recent Women in Business Awards.